Basant Kabra belongs to a family of industrialists who have maintained a keen interest in Hindustani classical music. His grandfather, Goverdanlal Kabra, was a music connoisseur who hosted many a music concert in his Haveli in Jodhpur in Rajasthan. His two sons were trained musicians. One of them, Damodarlal Kabra (Basant Kabra's father) became the first disciple of the legendary sarod artist Ustad Ali Akbar Khan when the Ustad came to Jodhpur as the court musician of the erstwhile Marwar state. After initial training from his father, Basant Kabra got his rigorous training from Guruma Annapurna Devi, the enigmatic daughter of Baba Allauddin Khansaheb and sister of Ustad Ali Akbar Khan. 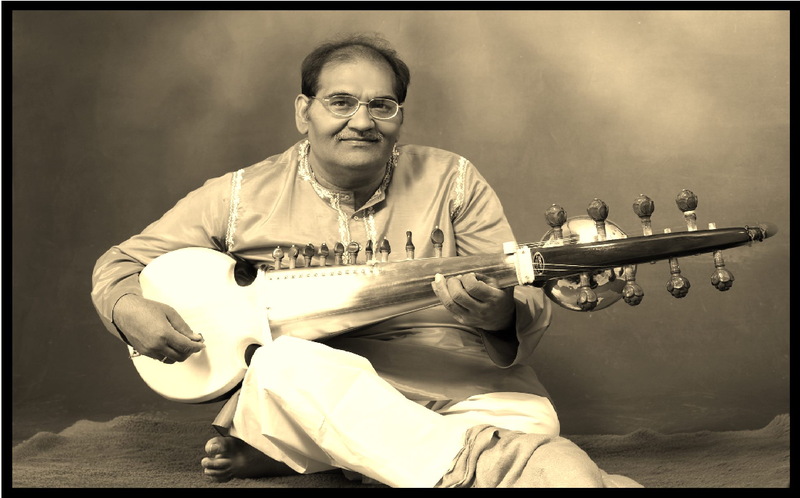 Basant Kabra's performances reflect his guru's approach to music and the traditions established by the sarod stalwarts of the Maihar-Senia gharana. Basant makes the sarod sing dhrupad-gayaki by his long meends that simulate human voice enriched by the deep sonorous sound of the sarod. Emphasis on the melody element of music is the cornerstone of Guruma Annapurna Devi's teachings and Pt. Basant Kabra excels at it. The rapturous rendition of melody is only one part of Basant Kabra's performances; he exploits the power of the sarod with his dexterity in building up the crescendo in the Jhala. The distinguishing feature of Basant's performances, though, is that they are not gimmicky or repetitive. He brings forth a very large repertoire of bols and jhala variations. His insights into the nuances of Hindustani classical music and his consummate artistry make Basant Kabra a class apart. He has performed at all prestigious music conferences all over India and participated in India festival in Russia. Participated in 25 TFF festival in RUOLSTADT (GERMANY), concerts in NETHERLAND , PORTUGAL etc. Navneet Sanskritik Prathishthan (Gujarat) as the best young Sarod player. YUVA RATNA AWARD-Rajasthan Gaurav, in classical music by the Chief Minister. He is been Awarded RAJASTHAN SANGEET NATAK AKADEMI AWARD.